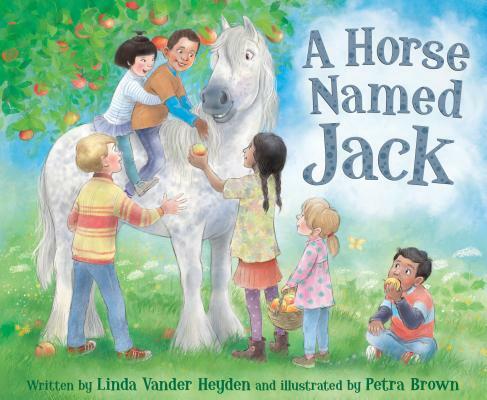 ​"Little readers enchanted by horses will get a kick out of this title, as Jack fumbles around exploring his environment and interacting with adorable kittens, piglets, and ducklings." "The bouncy, humorous rhyming text and frequent sound words invite audience participation, while gentle, brightly colored cartoon-style illustrations add to the fun." ​A portion of the proceeds from the sale of this book will benefit ​Give Me a Chance Equine Rescue. Please click on this ​link to learn more about their wonderful organization! Jack loves visiting with children on the farm. But one day, no one comes to play, and Jack is bored, Bored...BORED! "So Jack performs his favorite trick. He lifts his latch with one soft click. Two hinges creeeak. Jack loves that sound! He clip-clops out to look around." ​Jack is a rather silly horse. And when bored, he takes it upon himself to unlatch his stall and go for an adventure through the farm before escaping into the neighbor's garden for a snack. This rhyming story counts up to ten as Jack makes his way across the farm and then back down as he races home with the neighbor hot on his heels! This story was inspired by the real-life antics of our horse, Jack...an expert at opening his stall and getting into mischief! Sometimes he lets his stablemates out too! Jack lives with his two friends - a mini horse named Ebby and a mule named Eeyore.